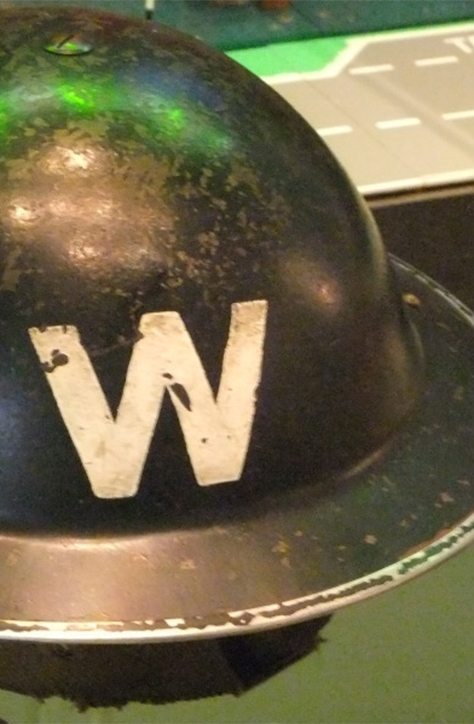 One of the most enduring items of memorabilia from World War 2 (and World War 1) is the Brodie helmet. 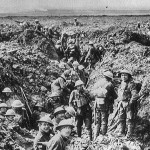 Developed and modified in response to the dangers of trench warfare, it was used by both the British and the Americans in World War 1, and, with only slight modifications, in World War 2. 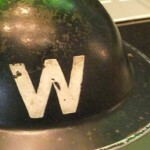 It was also the standard helmet for Air Raid Wardens, fire fighters, police, and others on the home front. 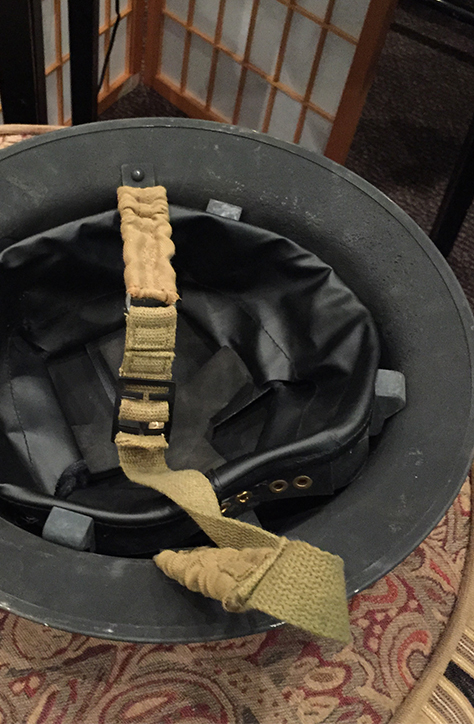 In many places it was replaced during the war by deeper helmets that gave more protection to the face and neck. 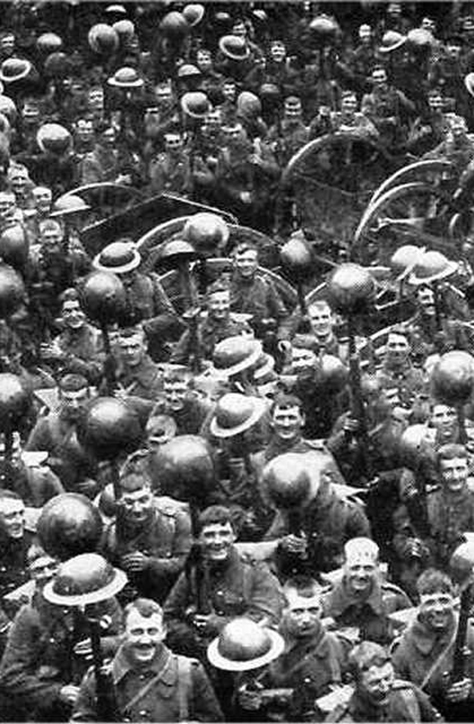 At the beginning of World War 1, none of the combatant armies had a steel helmet. 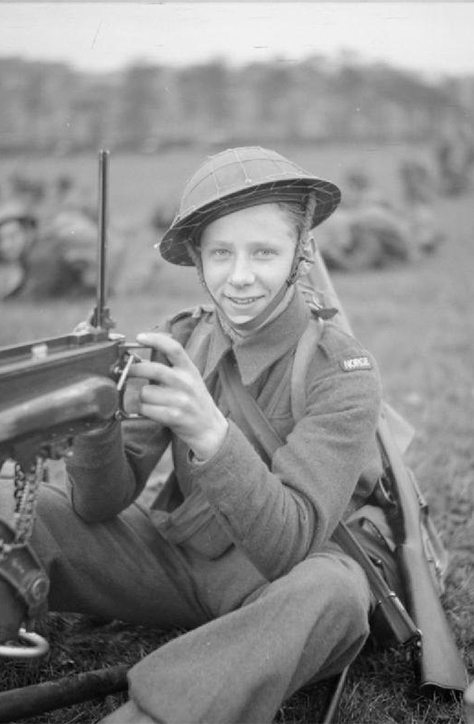 The Germans wore a leather helmet (the ‘Pickelhaube’), but this provided scant protection in a warfare environment that included bullets, mortars and artillery in unprecedented numbers. Head and face injuries multiplied. 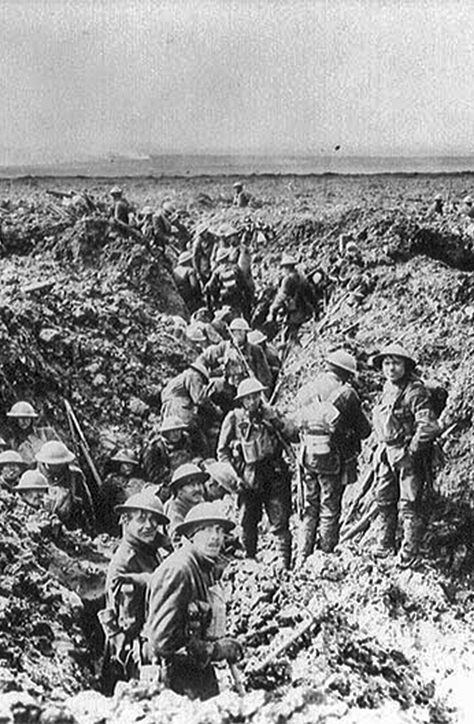 In response the armies began to develop steel helmets. The French developed the ‘Adrian’ helmet, which consisted of four plates riveted together. The British considered this design too difficult to manufacture and instead went with a design submitted by inventor John Leopold Brodie. 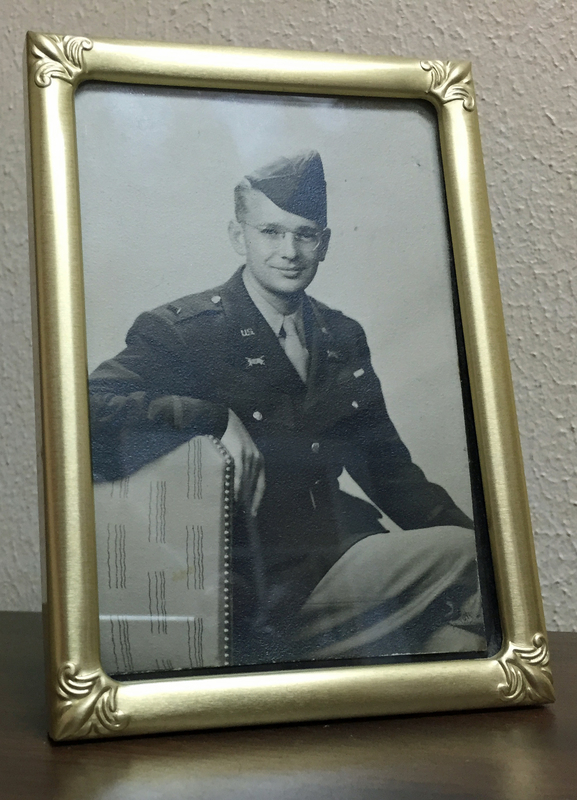 It was stamped from a single sheet of 20 gauge steel. Only the first 4400 of these were made with mild steel. 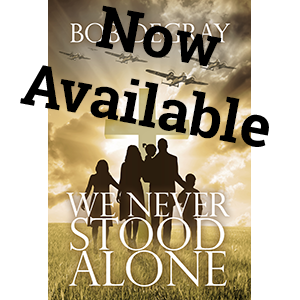 From then on it was manufactured from a manganese steel known as ‘Hadfield’ steel that was much stronger and more resistant to penetration. 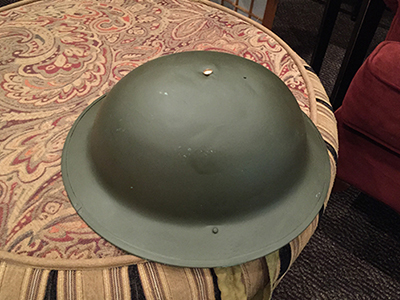 Modifications were certainly made to the Mark I Brodie helmet when it entered mass production later that year. 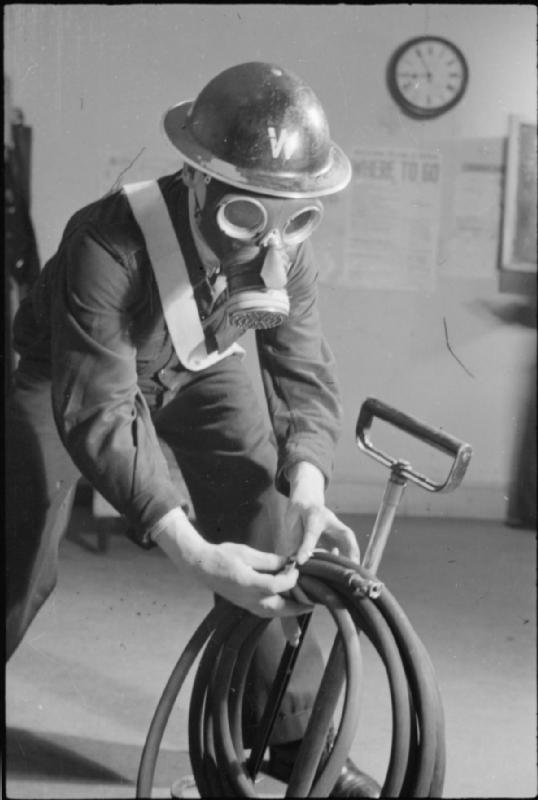 These included a ‘rolled’ rim – covering the raw edges and making the helmets less hazardous in confined spaces, and a ‘cushioned’ liner that was later to include rubberised cushion blocks. A textured paint, often mixed with sawdust or sand grains, finish was also applied. 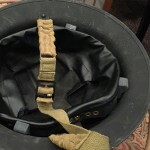 Wearers were also permitted to fit an exterior sacking cover that camouflaged the outer bowl. The design evolved by degrees during World War I, even while being manufactured in huge quantities. 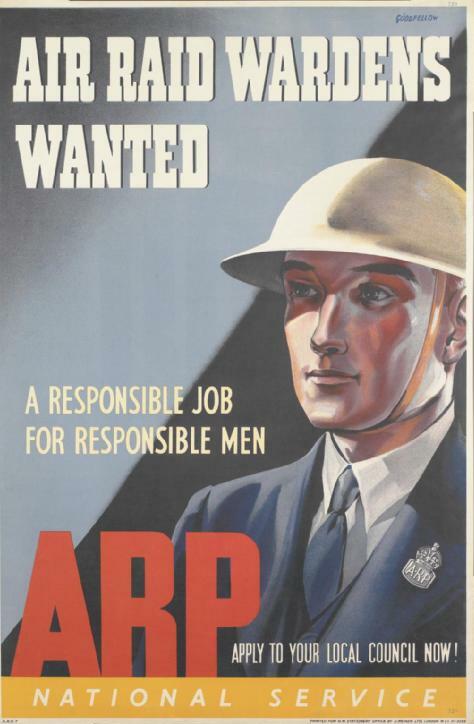 When the Americans joined the war effort, they chose the same design, partially because there were already 400,000 units available in Great Britain for the first arriving troops. 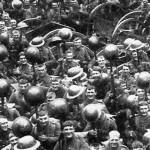 Eventually 7.5 million Brodie (and derivative) helmets were made during the first war. 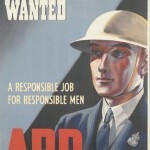 The design remained standard for British and Americans between the wars and was widely used by other countries as well. 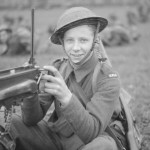 When the second war started, manufacturing was again ramped up, and the Brodie continued to be the standard helmet not only overseas, but on the home front. Eventually it became clear that a deeper helmet affording more protection to the lower head and neck was overall a better choice. 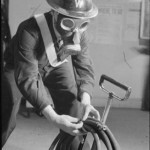 The Germans had been using this approach since World War 1 and it was adopted by the Americans in 1942 and by the British (the ‘turtle’ helmet) in 1944.